One of the best places to collect images from the North Dakota Badlands is at the Fort Union Trading Post. Their annual gatherings are a photographers dream. Every June is a collection of buckskinners, trappers and traders. Have you considered taking your camera there to get images in black-and-white or another vintage look? This selection of snapshots gives you an idea of what you could see. A trader waits in his tent store for customers at Fort Union Trading Post. A buckskinner carries firewood back to his tent outside Fort Union Trading Post. A temporary town with stores and stories from buckskinners outside the Fort Union Trading Post. Fort Union Trading Post, Fort Buford, Medora all give photographers a chance to practice their black and white skills when historic events are hosted. Check the calendar to see what’s coming. As always, these photos are available here for browsing or buying. From wall decor to coffee cups, mousepad, coaster, desk organizers and other gift items. You’ll be surprised how affordable many of the keepsake items can be for gifts that bring home the North Dakota Badlands. More than 400 images for you to shop from are here. 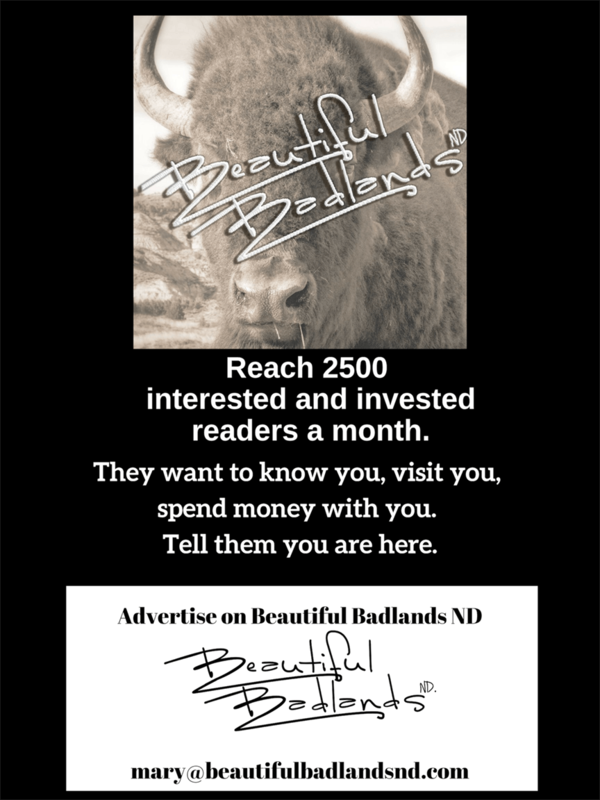 Would you like to see the Badlands on a coffee cup or other keepsake? There are more than three-dozen landscape images here. Wild horses, bison and animals of the Badlands are very popular as wall decor. Or as a customized coffee cup, Christmas Tree ornament, mouse pad, desk holder, refrigerator magnet. Many items are much less than $10.00 each. Free! 10 easy-to-click resources you can use to stay up to date on events in the region. Click here to get it. Just tell us where to send it so you can download it.